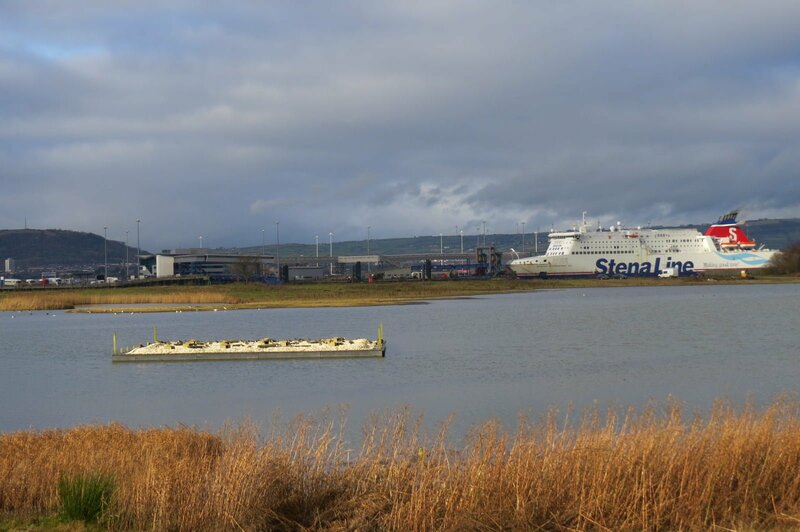 RSPB Northern Ireland’s Belfast Lough nature reserve at Belfast Harbour Estate has undergone extensive refurbishment to give it a renewed WOW factor. Media and Events Officer Amy Colvin explains what all the fuss is about. Belfast’s Harbour Estate isn’t the sort of place you’d expect nature to flourish – but prepare to be WOWed! Its origins can be traced back to 1613, during the reign of James I, when a quay was constructed where the River Farset and River Lagan met and the development of Belfast as a port began. Fast forward to the 1970s and silt was dredged from shipping channels to allow a more suitable depth for ships to operate in. This was pumped ashore where it settled and hardened and large pools of water formed – the perfect spot to stop and feed, thought the migrant birds flying overhead! The conservation potential of this site was quickly recognised, and it was designated as a nature reserve which has been managed by RSPB NI since 1998. More than 100 species have now been recorded at the site, from bar-tailed godwits to Arctic terns, and the odd rare visitor pops up from time to time too. Major construction work has seen the existing visitor centre extended to give better views of the wildlife on the reserve. Don’t worry if you’re not an ID expert – there will be binoculars and telescopes available and friendly staff and volunteers are on hand to help. We’ve also constructed lots of new homes for nature at the site, including a sand martin bank and a swift tower, which will be installed in the spring. Meanwhile two new hides, which have been constructed from shipping containers to tie in with their surroundings, offer different perspectives on the reserve and feature a members-only area, which is suitable for photography. There’s lots to see at the reserve no matter when you visit, although high tide is when most birds come to roost at the site and the wildlife spectacle is at its best. 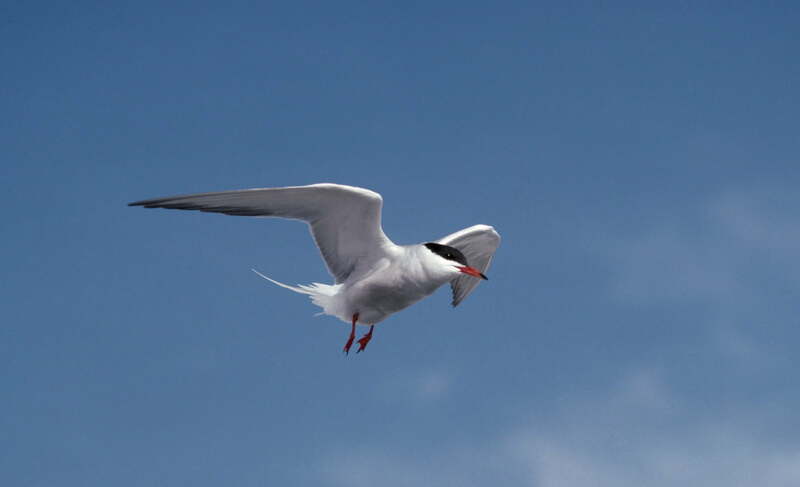 In summer artificial islands give common and Arctic terns a safe place to breed and the reserve comes to life with the sound of warblers arriving from Africa. 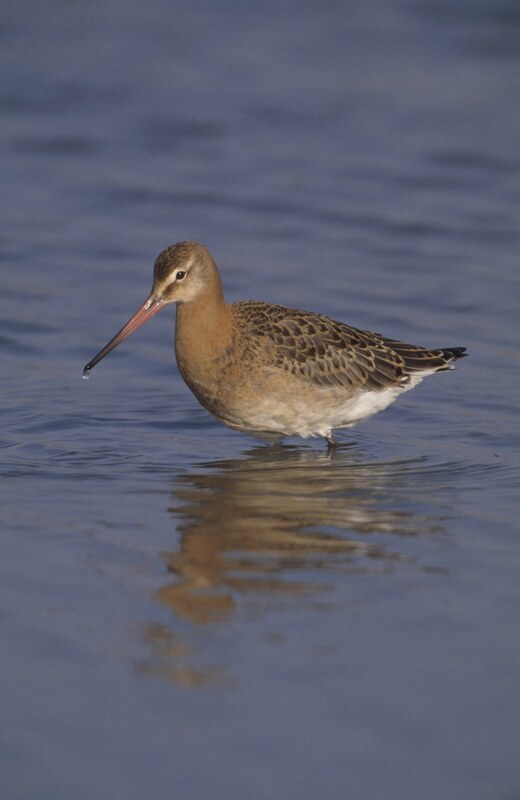 In winter, the water is full of wildfowl like wigeon and teal, while black-tailed godwits can be seen digging in the mud for food. 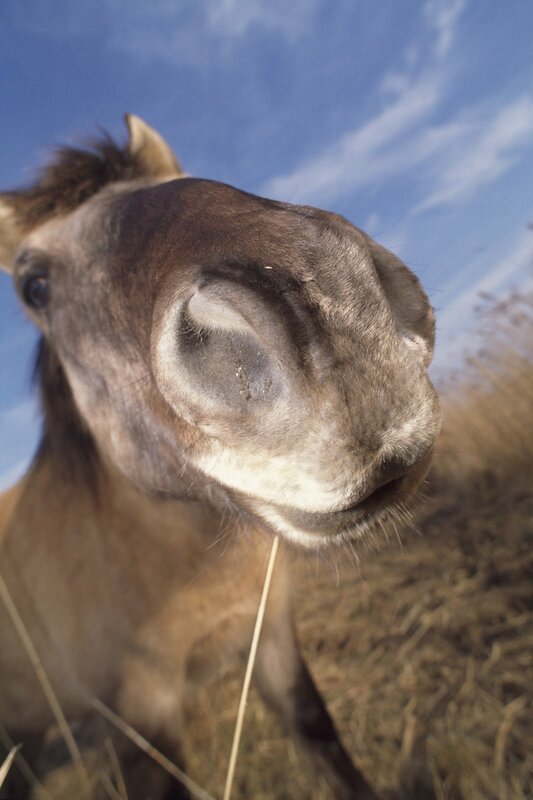 Resident konik ponies also graze the reserve, acting as ‘living lawnmowers’ and creating ideal conditions for ground-nesting birds like lapwings. If you want to see all this for yourself, Belfast WOW is open every day except Tuesday, from 10am to 5pm (February – October) and 10am to 4pm (November to January). The reserve is located within Belfast Harbour Estate on Airport Road West. Two main entrances lead into the estate and are signposted along the A2 Belfast to Holywood dual carriageway. Visit the RSPB Belfast Lough page for more details. 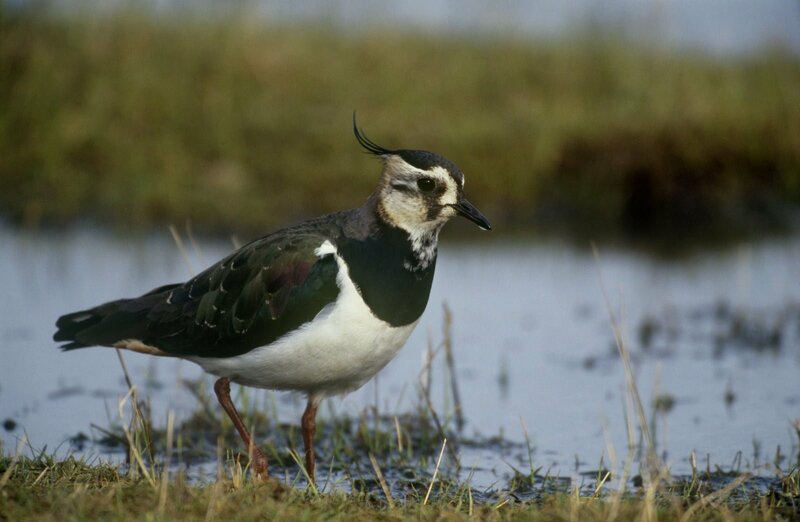 Ground-nesters like the lapwing take advantage of the short cropped grass left by the grazing ponies. As a charity, RSPB NI is reliant on donations from members and supporters to help run this fantastic site and the many other sites we manage across the UK, which is why we have introduced a small entry charge for non-RSPB members at Belfast WOW. For non-members, the charge is £3 for adults and £1.50 for children and other concessions. However you can easily become an RSPB member – just ask one of the team at the reserve. You will then enjoy free access to Belfast WOW, as well as all the other benefits that RSPB membership brings. This ambitious project wouldn’t have been possible without significant funding from the European Regional Development Fund administered by the Northern Ireland Tourist Board, the Heritage Lottery Fund, Belfast Harbour Commission and the Alpha Programme administered by Groundwork NI, to whom we’re extremely grateful. Amy Colvin is the Media and Events Officer for RSPB Northern Ireland. Before taking up her post at the nature conservation charity, she worked as a journalist for the Antrim Guardian and the Belfast Telegraph. Her love of nature stems from a childhood spent in County Fermanagh – with many a weekend spent fishing on Lower Lough Erne in the rain! Joined RSPBNI as a member, and can’t wait to get down to the newly opened Wow centre and bird hides.